It's a bird! It's a plane! It's the Biscuspid Babes®! This trio of dental assistants with a love for flying is full of girl power and they aren't afraid of heights; that's because these girls fly high in the sky. They are definitely the bravest gals in Molar Towne®. The Bicuspid Babes® are the all-girl air force squad that helps protect the city from Bacteria Boy and his legion of Zombie Teeth. They dart through the sky while flying their MolarJets, and they're constantly on the lookout because Bacteria Boy® is always lurking. They have a bird's eye view on the town below, but that doesn't keep them from having a little daredevil fun while they fly. Whenever Mighty MolarMan® needs help carrying out his mission, The Bicuspid Babes® are the first responders along with the Molar Rescue Team. When they aren't in their fire-proof jumpsuits with flying goggles on their faces, these girls can be found at Molar Towne Dental working as dental assistants. 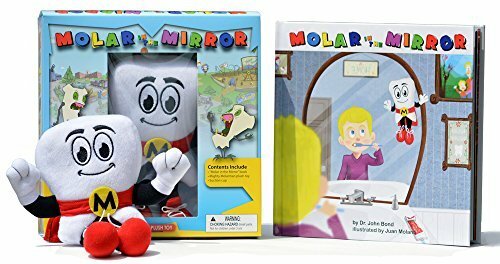 They love being dental healthcare professionals, and are excited to educate their patients and also children/families in the Molar Towne schools and community.